We can provide accommodation & activities for schools & youth groups to suit all situations & needs. Outdoors@hay is situated just outside Hay on Wye within reach of the Black Mountains, Brecon Beacons & the River Wye. We have a great choice of accommodation options that can be used separately or together. 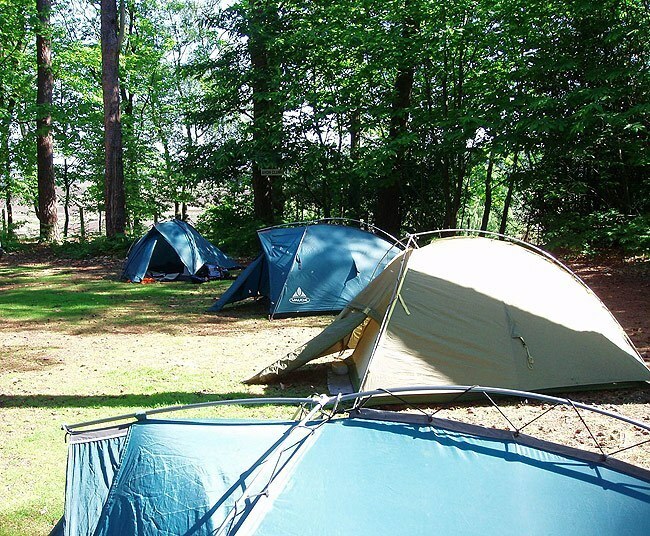 12 bed lodge, Bell tents, lightweight tents, mess tent & dining shelters. Camp on our site or on a local farm. You can be self catering, part catered or fully catered for, even if you're camping! We can provide additional resources & services such as transport, evening activities, mess tent & dining shelter, internet access, sole use of site, fire pit and open sided barn with catering facilities. Book as much or little as you need! Mick Collins the Centre Director at Outdoors@hay has over 25 years experience working with education & youth services running school trips, providing adventurous activities and knows that every groups needs are different and that the level of experience & qualification of the leaders varies. So Outdoors@hay gives each group the opportunity to plan their visit using our resources to get the package that suits them. You may have your accommodation sorted & just need activities, whatever your needs, It's always worth contacting Mick initially to talk through your ideas and see what we can do for you. The cost is negotiated & depends on what you want from us & what you bring yourself. We will also take into account how many people are in your group, how long & when you want to come or if you have exclusive use of our site for your stay. * A group of 32 camping using their own tents and transport, had 3 nights camping, 3 days activities, fully catered & sole use for £135 per head. If you think we can help your group contact Mick now!